Myrtha Pools will join the Conference Programme at this weekend’s FINA Convention (8–10 December) in Hangzhou. A long-term Convention Event Partner, Myrtha Pools has significant experience in the development of water safety programs and this year will focus specifically on some ‘learn to swim’ initiative. Entitled Innovative approaches to teaching swimming, their session runs from 14:00 to 15:00 on Sunday 9 December and will be moderated by Trevor Tiffany, Chairman of Myrtha Pools USA. “We are delighted Myrtha Pools will discuss learn to swim initiatives at the FINA World Aquatics Convention. 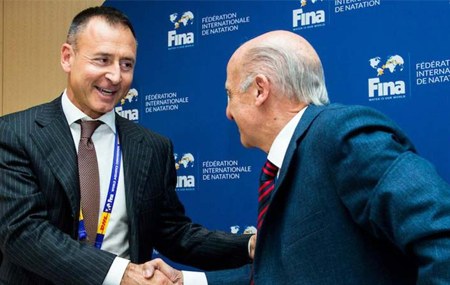 – FINA President, Dr Julio C. Maglione. Focusing on the most engaging and successful ‘learn to swim’ programs, this session will be of interest to Federations and individuals involved in renting, building, or running Aquatics facilities.